“The Jesuits, the Souls of Slaves, and the Struggle for Haiti, 1720-1725,” Mahindra Center 18th-Century Studies Seminar, Harvard University (Cambridge, MA), Nov. 7, 2018. “Slavery and Abolition as Legal Process: Some Haitian Notes on the Work of Alain Testart and Joseph Miller,” for “Africa in Global History: A Colloquium on the Work of Joseph C. Miller,” Harvard University Center for African Studies, Cambridge, MA, Oct. 26, 2018. “The Africa House,” paper presented to the Johns Hopkins University History Department Seminar (Baltimore, MD), Oct. 22, 2018. “Voices in the Legal Archives in the French Atlantic,” North Hatley, Québec, May 28-30, 2018. “The Task of History: An MIT Community Dialogue,” MIT, Cambridge, MA, May 3, 2018. “Boom, Bust, and Beyond: New Perspectives on the 1719-20 Stock Euphoria,” University of Tübingen, Germany, April 11 – 13, 2018. Panel discussion with Boston Globe Spotlight team on “Boston. Racism. Image. Reality.” Kendall Square Association Annual Meeting, Cambridge, MA, March 29, 2018. “The Jesuits, the Souls of Slaves, and the Struggle for Haiti,” Yale University Early Modern Empires Workshop, New Haven, CT, Feb. 5, 2018. Commentator, “Beyond Haiti: Race and the Limits of Revolutionary Freedom in France’s Global Empire, 1789–1815,” American Historical Association, Washington, D.C., Jan. 4, 2018. “Unfreedom: A Roundtable—Constructing Race and Class in the Early Modern Atlantic World,” American Historical Association, Washington, D.C., Jan. 4, 2018. “Haiti: Slavery, Resistance, Revolution”/”Haiti: esclavage, résistance, révolution,” Symposium in honour of Professor Carolyn Fick, Concordia University, Montreal, Sept. 8, 2017. “The Jesuits, the Souls of Slaves, and the Battle for Saint-Domingue, 1720-1730,” Boston College Legal History Roundtable, Feb. 16, 2017. 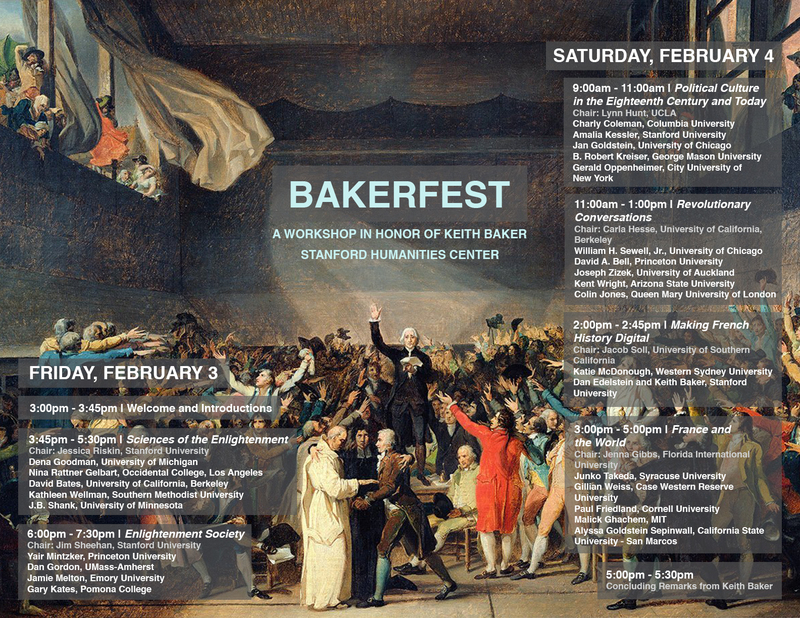 “Controlling Haitian History: The Legal Arsenal of Moreau de Saint-Méry,” panel on “The French Revolution and the World,” Keith Bakerfest, Stanford University, Feb. 3-4, 2017. Roundtable on “The French Revolution in Global Perspectives,” at the Society for French Historical Studies Annual Meeting, Nashville, TN, March 3-6, 2016. University of Minnesota Legal History Workshop, Minneapolis, MN, Dec. 3, 2015. Boston-Area French History Workshop, Cambridge, MA, Oct. 18, 2015. “The Fourteenth Congress of the International Society for Eighteenth-Century Studies,” Rotterdam, The Netherlands, July 27-31, 2015. “Joint OIEAHC-SEA Conference,” Chicago, IL, June 18-21, 2015. John Carter Brown Library Fellows’ Reunion, Providence, RI, May 1, 2016. “Legal Bodies: Corpus / Persona / Communitas,” LUCAS (the Leiden University Centre for the Arts in Society), Leiden, Netherlands, May 15, 2014. “The Other Revolution: Haiti, 1789-1804,” John Carter Brown Library, Providence, RI, March 8, 2014. “Curators on International Slavery” series, cosponsored by the Center for Public Humanities, the Center for the Study of Slavery and Justice and the John Carter Brown Library, Providence, RI, Feb. 20-21, 2014. “The Haitian Declaration of Independence in an Atlantic Context,” International Center for Jefferson Studies, March 7-8, 2013. “New Orleans, Global City (1718 – 2018): The Long Shadow of John Law and the Mississippi Company,” Inaugural Conference of the 18th- and 19th-Century Studies Network, University of Colorado Boulder, April 26-28, 2018. “Emerging Histories of the Early Modern French Atlantic,” Omohundro Institute for Early American History and Culture, Williamsburg, VA, Oct. 16-18, 2015. “Early American Legal Histories,” William and Mary Quarterly/Huntington Library Early Modern Studies Institute Workshop, Pasadena, CA, May 29-30, 2015. “‘So Sudden an Alteration’: The Causes, Course, and Consequences of the American Revolution,” Massachusetts Historical Society, Boston, MA, April 9-11, 2015. “The Age of Revolutions,” William and Mary Quarterly-EMSI Workshop, Huntington Library and USC, May 30-31, 2014. “Quebec Act of 1774,” French Atlantic History Group and Omohundro Institute of Early American History and Culture, Montreal, Oct. 4-5, 2013. “Law and the American Revolution,” Panel Discussion at the Massachusetts Historical Society, Feb. 4, 2014. “War, Peace, & Empire: 1763 Paris Treaty in Diplomatic-Historical Perspective,” 1763 Peace of Paris Commemmoration, Fletcher School of Law and Diplomacy, Tufts University (Medford, MA), Sept. 21, 2013. Colloque Rev-Loi : “La loi en Révolution 1789-1795. Fonder l’ordre et établir la norme,” Archives nationales and the Université Paris I (Panthéon-Sorbonne), Sept. 12-14, 2013. “Les colonies, la Révolution française, la loi,” Université Paris I (Panthéon-Sorbonne), Sept. 23-24, 2011. “Revolutionary Justice: Law and Society in the American Revolution,” Professor Bruce H. Mann, Harvard Law School, May 13, 2009 (links to a link for the webcast of the lecture).